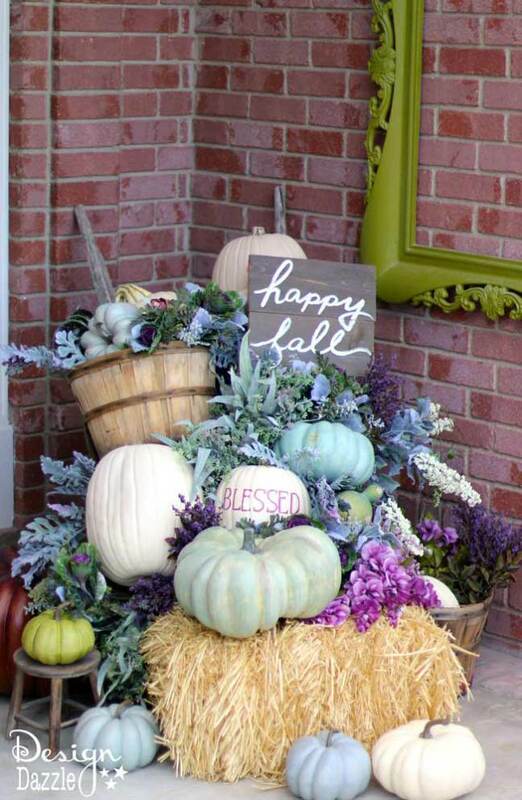 It's that time of year where we begin to "ooohh" and "ahhhh" over all the pumpkins, mums, and gourds. We pull out our softest sweaters, dust off a favorite pair of boots, and invite our friends and family over for cider and donuts, or for a back yard bonfire. Who doesn't love to enjoy these last couple of weeks before the snow comes??? We know at One of a Find, WE certainly do! So why not add to the ambiance, and welcome your guests with a contemporary take on front porch decor? Traditionally we layer lots of cornstalks, wooden baskets, and colors of yellow and orange. But this year, try something new! Perhaps a new color palette like burgundy, and varying greens, and whites. 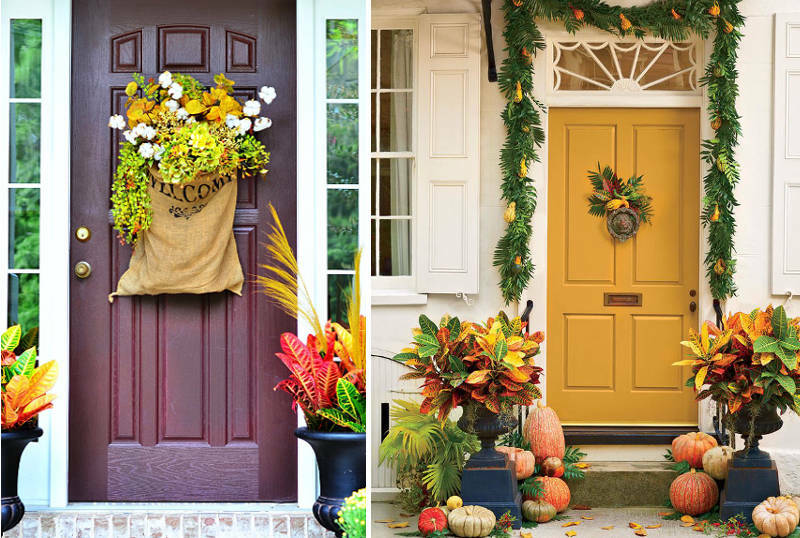 Or take advantage of all of beautiful, natural green and white pumpkins, but simply layer several variations of shapes and sizes to add visual interest to an area of your home or front porch. Purple and a kale green can add so much texture and are super hardy for Michigan's varying autumn weather. Another idea?? 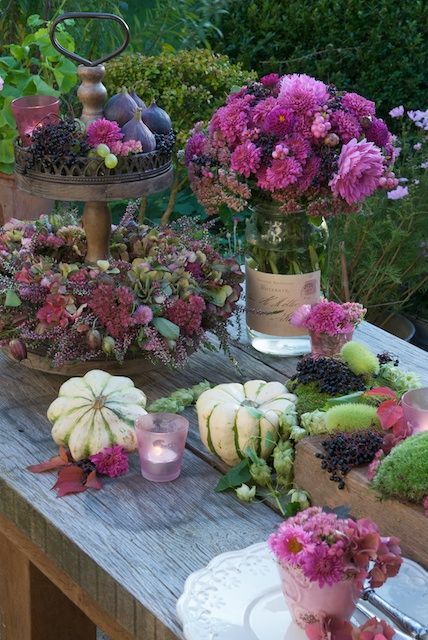 Fill your flower beds with pink and burgundy mums....think locally and source your decor materials from your neighborhood farms, or farmers markets. By making the extra effort to support local growers, you support and enhance Michigan farms and families!